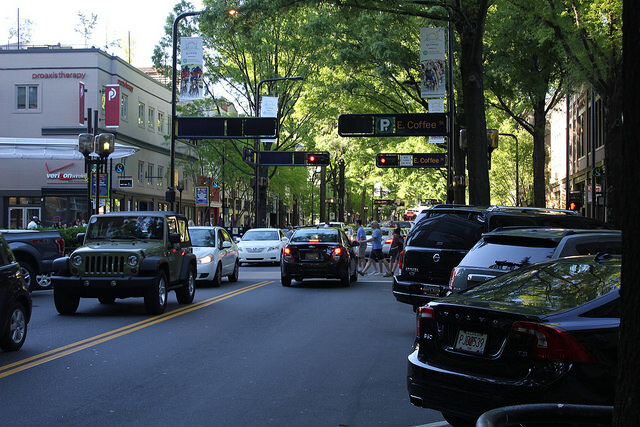 I am sure it is no surprise to anyone driving the streets, or walking around downtown, but Greenville is growing. In fact, Greenville is the 4th fastest growing city in the whole United States growing by 5.8 percent as of last July from the year before, to 67,453 people. Greenville’s revitalization of the downtown area has paid dividends in attracting people and development to the beautiful urban center. With multiple high end condo’s and mixed use properties coming into the downtown area, it is certain that Greenville will be a thriving place to live and do business. Although some people will always be grumpy about any increase in population, most Greenville businesses welcome the added traffic. But what do you do to attract the newly arrived residents, and make sure they become loyal to your business? It is important for any business in Greenville to realize that first impressions really do count. For both new residents, and people visiting our beautiful town who haven’t made up their minds whether they want to move here or not, having clean and welcoming stores, restaurants and other businesses should be a priority. Now, our famous Southern Hospitality usually has that whole “welcoming” part covered. A friendly smile means a lot to a newcomer. But with rainy season here, sometimes it is tough to keep a place clean from the moisture, pollen, mud and spores that can get tracked in by the growing population. All of that foot traffic can leave our businesses a bit dirty, and sometimes it seems like we spend more time cleaning then we do on our real jobs. Cleaning your commercial property should be left to professionals. Whether you own a restaurant, office, retail space, medical facility or apartment building, bringing in trained cleaners to keep your property looking its best and free from germs, pollen and spores is the best option. You shouldn’t expect your staff to be knowledgable in the latest cleaning and sanitization trends, and you shouldn’t want them to be spending time they could be using to do the job you pay them for, to be cleaning. Outsourcing cleaning in Greenville is the smart and safe way to provide a clean, germ free environment for your staff and clients. Let’s face it, nobody is as clean as we would like them to be. And with more and more people moving into the Greenville area, the job of keeping your Greenville business clean is going to get more and more difficult. Summit Janitorial has the trained staff and experience on hand to supply your business with a personalized plan that is both economical and scalable. We will make sure your business is clean and presentable to all you new and returning clients. When business picks up, we can adjust your plan as needed so that we will always give you the best possible service in the budget that you have available.